I have always loved nature, ever since I was a little kid. But it wasn’t until high school when I developed an academic interest in biology. 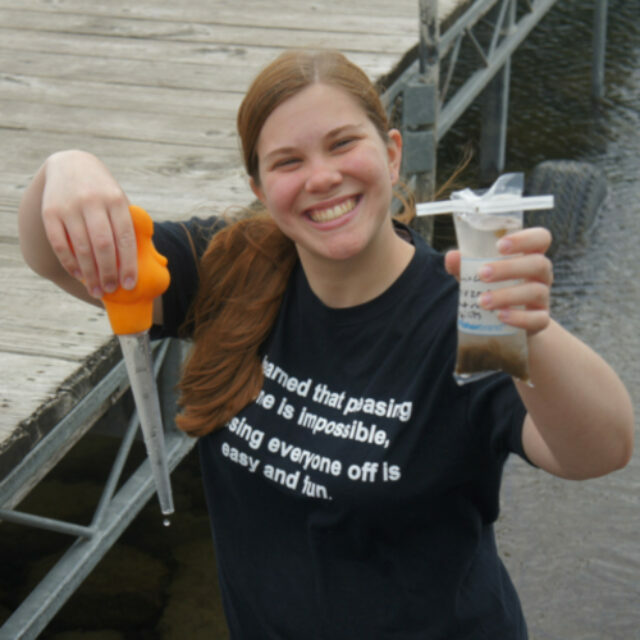 I explored my interest more at Ohio Northern University through many field biology classes. Sophomore year, Dr. Robert Verb asked me to help him on a research project concerning diatoms, macroalgae, and macroinvertebrates in a stream influenced by limestone quarry discharge. This was when I discovered how darn cool diatoms and algae are. He taught me how to identify many Ohio diatoms/macroalgae to genus, and showed me how expansive and awe-inspiring the world of diatoms is. Since then, I have worked on a couple different research projects with diatoms and macroalgae (and macroinvertebrates) as an undergrad. I am about to start pursuing my M.S. degree at Ball State University with Dr. Kevin Wyatt (Fall 2013). I will be examining algal community composition (including diatoms) in Alaskan peatlands. After I graduate with my M.S. degree in May of 2015, I will be getting married to my fiancé, Alex Koenig. Then I hope to get a job somewhere in Ohio examining diatoms and macro algae to determine water quality.